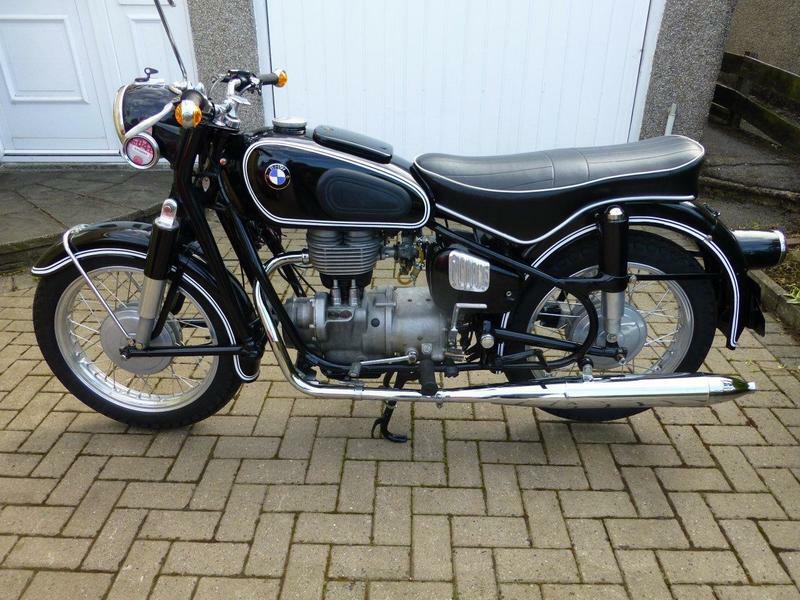 I have recently been considering purchasing an R26 and wanted to find out what peoples thoughts are about this bike. I realise that this is a much smaller bike but they are so purdy and there doesn't seem to be any R75/5 swb for sale in the condition I want/price range that I can afford so it would be great to hear peoples experiences with an R26. Are they reliable? how easy is it to get parts? and what are they like to ride? Also it will be my everyday bike (I can already hear the ARE YOU CRAZY?!) well maybe a little but as most of my riding will be in London, its not like I need to go that fast. Thanks in advance and happy riding! 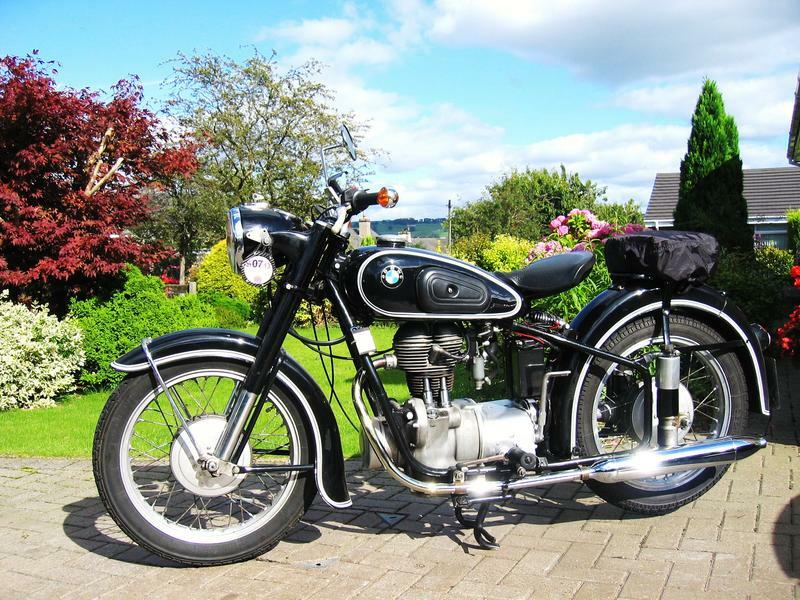 Welcome to the family of BMW single cylinder owners, I have 2 of them, an R25/3 and an R27. An R26 has slightly more power than an R25/3 and less than an R27, there is a drawback inasmuch as the R26 vibrates quite a lot which is why BMW rubber mounted the engines in the R27's, they all have the same engine capacitiies. I'm not trying put you off your choice of model but the R25/3 is a much more popular machine and was made in greater numbers than the other 2 mentioned above. Lottie the R25/3 my favourite. The R27 which proved to be a very expensive and disastrous purchase due to the previous owners attempt at 'restoration'. Be careful where you buy and who you buy from - and try it before you part with any money, the R27 was 'Sorned' and I didn't! I've just had a look and there are no R25's or R27's for sale at the moment so maybe I'll see if I can get any more feedback about the R26 and maybe see if I can't have a go and see if its the right bike for me. Definitely won't be parting with my money unless I am able to try before I buy. Thanks for your advice Bill and I hope you have managed to get out to enjoy riding in the sun on your beautiful bikes. I've only ridden a 250 once and that was many years ago, it's a heavy bike for the capacity and doesn't produce much power, as a consequence it's very slow. With poor acceleration. Not ideal for the cut and thrust of London traffic and might just be a similar magnet to thieves as the 75/5 was. Can you get secure parking ? 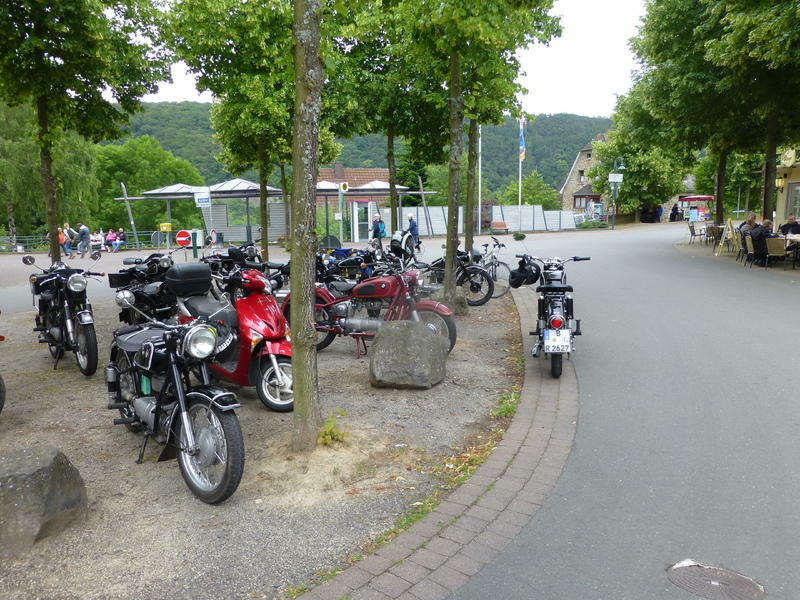 'Lottie' (R25/3) went with me to Germany in June 2014 and we took part in the Einzylinder Rally at Edersee. There were around 40 of us all on the little BM's. When I locate the files I'll post a couple of pictures on here. Last edited by Ruralman on Fri Jul 17, 2015 6:41 pm, edited 1 time in total. 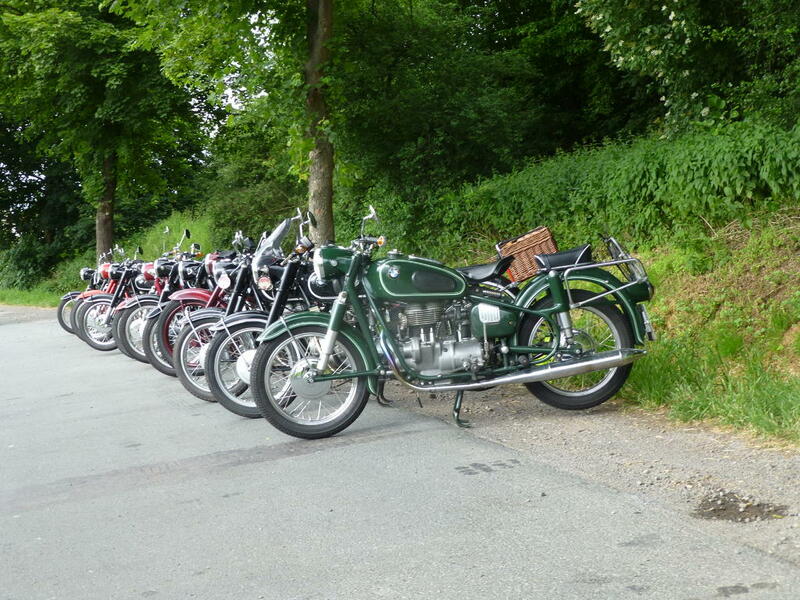 This was the line up of some of the machines returning from our visit to an NSU Rally. Lottie is the second bike from the front of the picture. 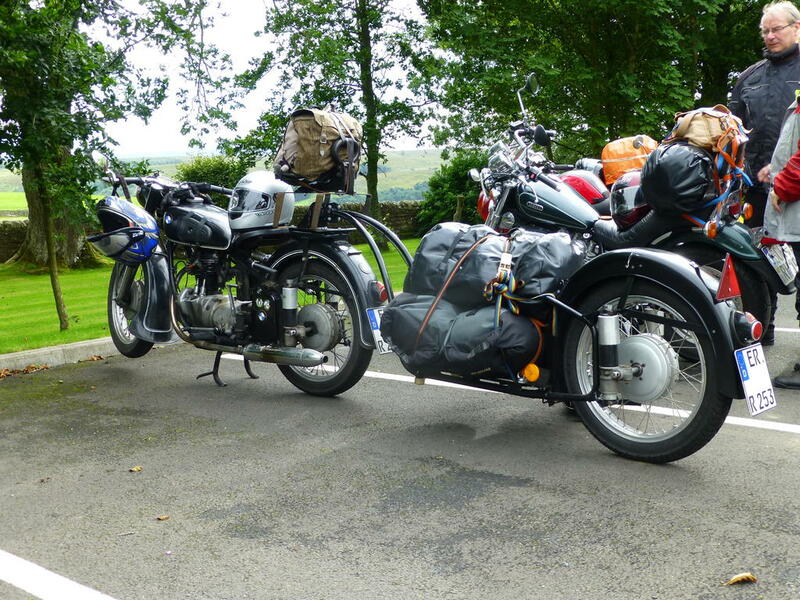 Some of the riders travelled quite long distances, in one case covering more than a 1000 kms carrying full camping gear. The picture below below is of an R25/3 with a luggage trailer which travelled from Bavaria to Skye for our little rally there in 2013. They're not very fast but they get there eventually and I like them! Is Lottie carrying pigeons in case you break down? They do break down now and again which is why when it happened on Skye, one of the German riders had to change the piston and barrel on his bike. The amount of spares carried was enough to carry out most repairs on the route as required. 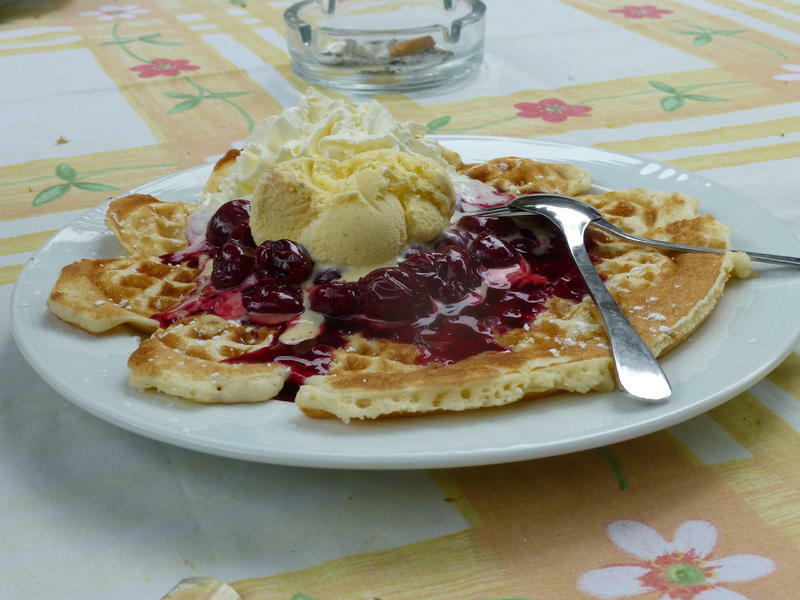 I struggled with this little snack, good job I was unsupervised that day. I own an R26 which I restored some years ago, This description of a “ bone shaker” is so far from the truth. It’s smooth through the gears and in top gear floats along quite pleasantly. The vibration occurs when at standstill, when you rev it, as the revs die down it the bike vibrates as it settles down to tick over. I can imagine that the R27 would be an improvement but never pass on a decent R26 as they are a pleasure to own and as you say, very pretty especially with the single seat fitted. First gear on a standard box needs to be got out of instantly as it’s so high. The earles forks offer a ride quality not experienced these days as the harder you brake the high the front rises which feels very confident. I don’t think that a tall rider would get on with one as your knees would be under your chin. If you get the chance have a ride it’s very pleasant with good manners.